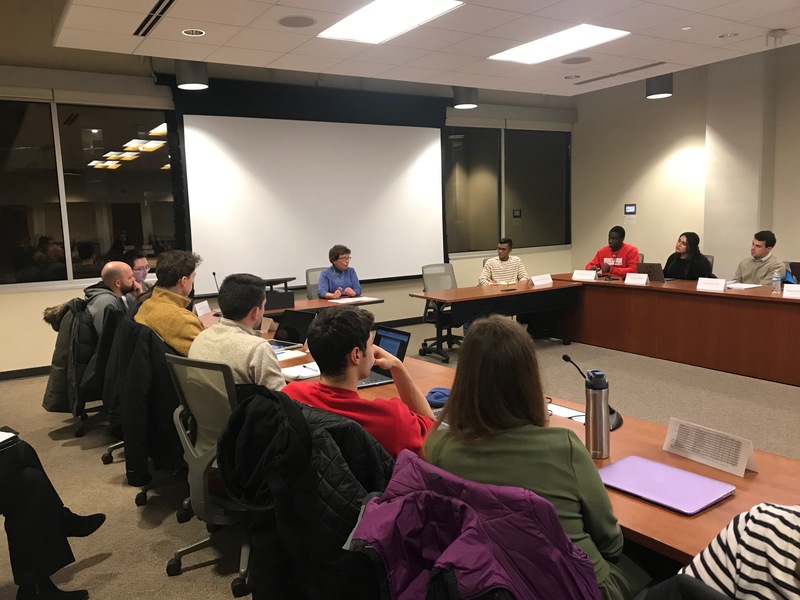 Chancellor Rebecca Blank spoke at the Associated Students of Madison meeting Wednesday night to discuss issues regarding the need for updated mental health resources. Blank described the demand for mental health services as “skyrocketing.” Vice Chancellor Lori Reesor has commissioned a task force to determine how the university can meet this demand, Blank said. Recommendations for improving mental health services will be officially submitted next fall, but Blank suggested that the university may need to update mental health services currently available to students. 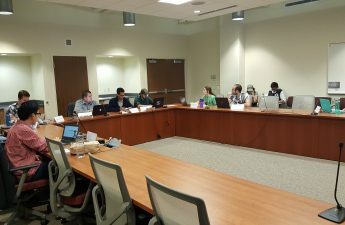 ASM also approved three budgets, including one for the General Student Services Fund, one for Student Judiciary and one for the Student Activities Center Governing Board. These three budgets were introduced at the previous meeting but were not passed because quorum was not met. They were reintroduced and voted on Wednesday. Rep. Andrew Dobbins proposed an amendment to change the salaries of the SACGB members from $0 to $7,056 to adequately pay committee members for their work. 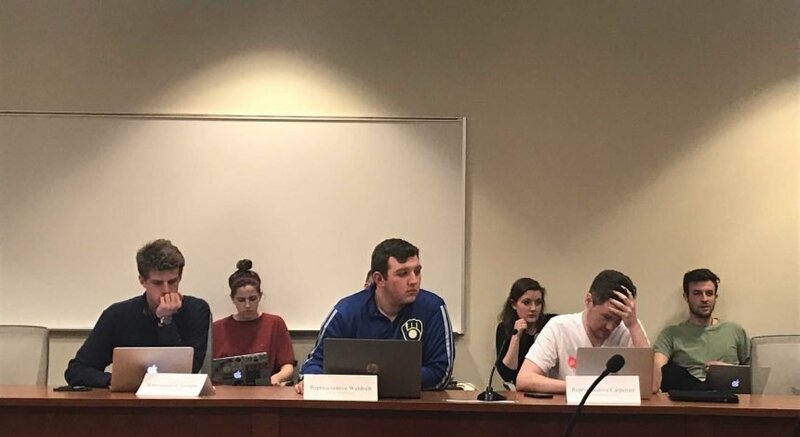 The motion was opposed by Student Serviced Finance Committee Chair Jeremy Swanson, who argued that in comparison to other Big Ten universities, ASM pays more of their students for their work. The amendment required a two-thirds margin to be approved but failed with a vote of 7-5-5. The original budget of $331,126.97 then passed with a vote of 10-5-0. Both the GSSF budget of $1,079,164.13, which allows organizations to provide services to campus and the Student Judiciary budget of $36,555.00 passed 18-0-0. Neither had any points of debate. Additionally, the “Reserve Reduction and SAC Debt Repayment” legislation was introduced to allow the Reserve Board to pay off the Student Activity Center building debt through reserve funds. This legislation was made possible by the “Reserve Board Bylaw Modernization,” which grants more authority to the Reserve Board. This legislation passed and will be voted upon again next week. Currently, the debt is being paid by students at a rate of $17.04 per semester, so this legislation would save students $136 over the next four years. This legislation will be voted on next week. The “Student Priorities for the 2019-21 WI State Budget,” was also brought up for its second vote. The legislation calls for fully funding the UW System, funding the tuition freeze and protecting allocable fees. The legislation passed with a vote of 15-2-0. Moreover, three new representatives were nominated by the Nominations Board and were appointed by ASM. The new representatives are Levi Redlin, Pranav Srivastava and Nate Jones. 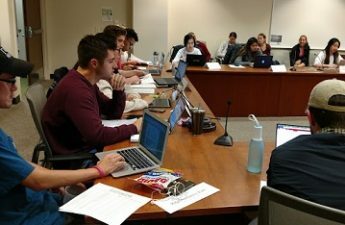 An Open Seat Assistant Director position was also proposed to be added to the bylaws due to an increase in demand at the Open Seat, the student food pantry. The legislation passed its first vote Wednesday and will be voted on for the second time next week.